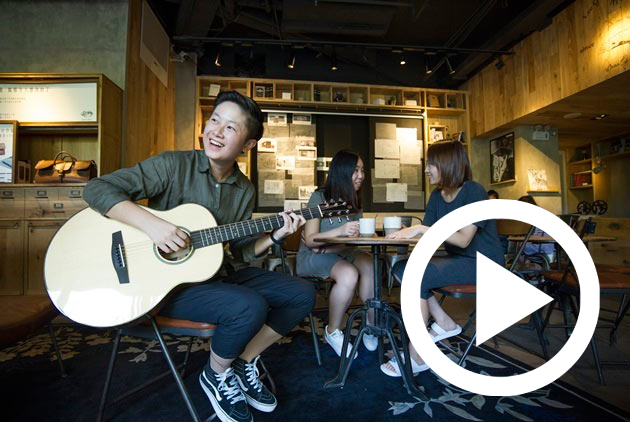 As Huashan 1914 Creative Park, Ximending Shopping District, and Dadaocheng have evolved into hip hangouts, many record shops in the area have sought to take on a new look, expanding their range of products that cater to their music-lover customers. Today, from cafes to creative parks - here are some hotspots in Taipei music lovers should never miss out. A shop that sells merchandise, apparel, records, and art books filled with passion and uniqueness, made by local bands. A cafe bar and record shop that caters a wide range of music genres. Along with good music, they also serve craft beers and French cuisine cooking. An independent record label and shop located in Shi-Da Road that specializes in indie/alternative music. Source: Chinoy TV, a 30-minute lifestyle magazine show that tackles the different facets of Chinese-Filipino lifestyle, including people, events, sports, fashion and food. Transcending traditional media, it has now crossed into online, print and events to cater not only to Chinoy audience, but to Chinese and Filipino culture aficionados as well.